Typically, users can see all of the tables and columns not hidden from client view. 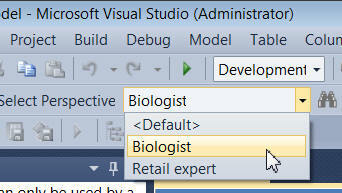 You can choose to be a biologist or a retail expert, to see different combinations of tables/fields. The tables you might see if you used the Biologist perspective. When you create a pivot table, you can choose which perspective to use. 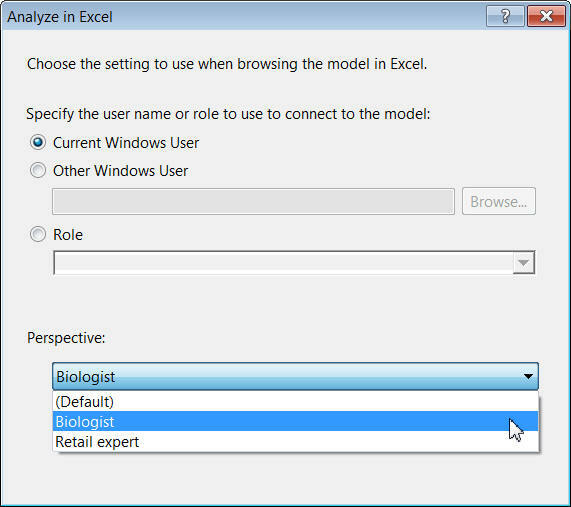 All of the other tables and columns are either hidden from client view or are not contained within the Biologist perspective. 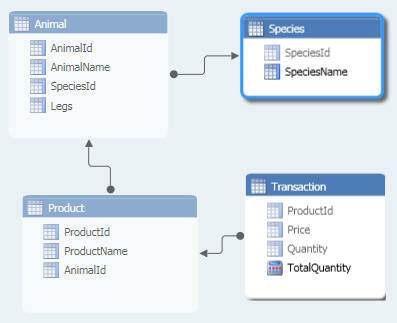 The above shows that perspectives are really well implemented in SSAS Tabular and easy to use. However, they don't provide any security - if you know what you're doing, it's easy to hack a pivot table to see the whole of the moon, rather than just the sliver that the perspective is choosing to show you. 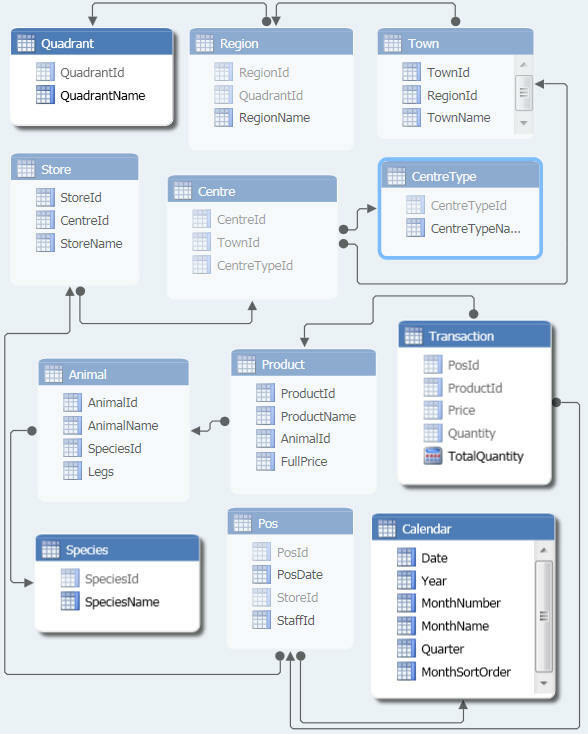 The rest of this blog shows how to create and use perspectives in SSAS Tabular.